Most of the time, when you purchase a new appliance, it's fairly easy to get it set up in your space. But how are you supposed to get rid of the old model? Instead of throwing out your back trying to haul it away on your own, get in touch with JDog Junk Removal based in Hudson, MA serving the Boston metro. We're pleased to offer appliance removal to home- and business owners throughout Boston and the local area. Our job is to get rid of that unwanted unit, so you don't have to worry about it. From doing the actual heavy lifting to carting your old fridge, dishwasher, or dryer to a local donation center, recycling center, or dump, our junk appliance removal team will take the burden from your shoulders. Ready to book appliance removal service? Call or e-mail JDog Junk Removal Boston now! Is your old appliance still in reasonably good condition? JDog Junk Removal Boston is proud to work in association with Habitat for Humanity to reuse items whenever possible. Do you need removal of appliances that are completely out of service? We'll know how to properly dispose of appliances, following all of the city's codes and restrictions. You'll get to start enjoying your new appliance sooner, without the hassle of researching how to handle appliance removal and recycling on your own. What's not to love? Your fridge is probably one of your biggest, bulkiest appliances. Getting rid of it? JDog Junk Removal Boston will be able to carry out refrigerator removal with skill and care. We won't damage your kitchen floor, walls, or surrounding furnishings as we maneuver your heavy refrigerator out to our truck. We're the appliance removal service to trust for even the most back-breaking jobs. 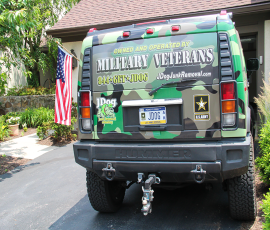 A veteran-operated business, we pride ourselves on the high caliber of our customer service. We'll show up promptly and work efficiently, especially if you need old appliance removal as soon as possible. Plus, we offer free estimates for our services-and we'll stick to that quote. So whether you need a team to clear out a whole houseful of broken or outdated appliances or you need pickup of a single item, don't hesitate to contact JDog Junk Removal locate in Hudson, MA serving the Boston metro. We'll be there when you need us!